Here comes the next generation EverClip. 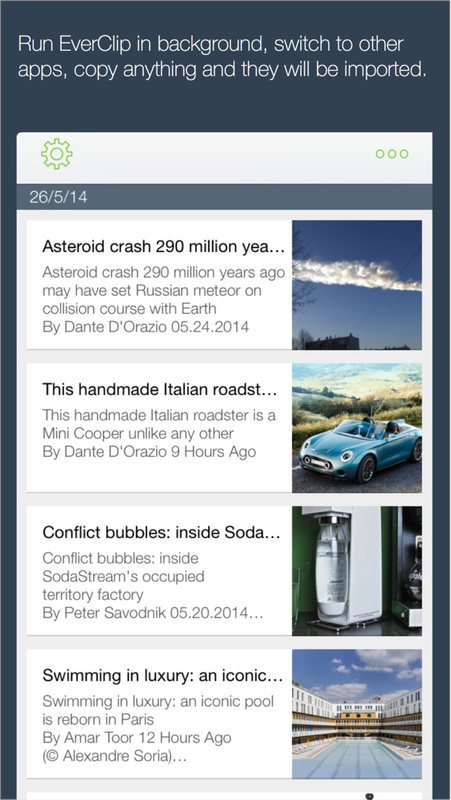 We take the award winning EverClip app and redesign it from the groud up to make it fast, natural and beautiful. Of course, we also added couple features you’d absolutely love. 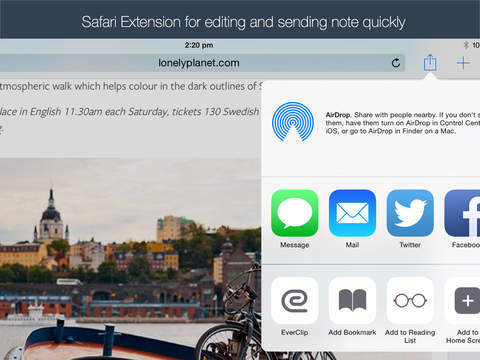 – Safari Extension. Add current web page within Safari. Start EverClip and switch to your favorite apps. 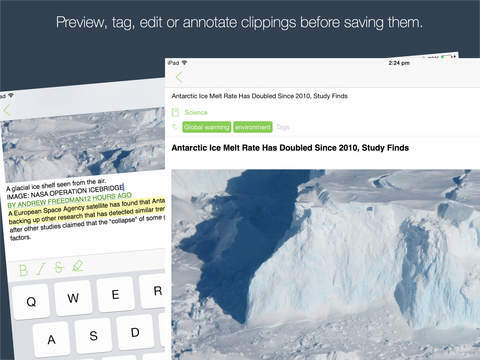 Copy any texts and images, EverClip will save these clippings in background. When you finish your work, return to EverClip. 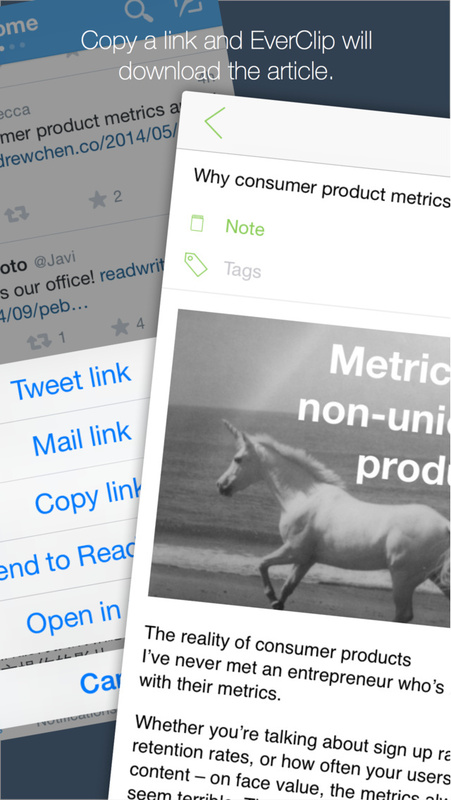 Edit, annotate and organize clippings freely and send them to Evernote. We designed EverClip to simplify our clipping workflow. We hope you’ll find it helpful and satisfying as we do! Please email [email protected] with support questions or your suggestions for future updates. – Due to an issue in Evernote app, if you enabled Evernote passcode and sign in third party app like EverClip, you might have problem launching Evernote app later. To workaround the problem, please temporary disable passcode before sign in EverClip. Once signed in, you can enable it again. – If you have problem launching Evernote after signed in EverClip with passcode enabled, restart your device will resolve the issue. – Misc bug fixes and performance improvement.